View cart “One Second After You Die – New DVD by Pastor Billy Crone” has been added to your cart. 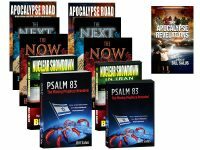 End Time Prophecies Package – 5 Books – 5 Books – FREE BONUS Book and FREE SHIPPING in the USA! The Who Wrote the Bible Package – Did the Bible Really Come From God? 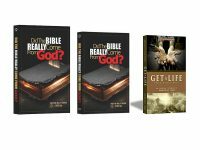 – New Book and DVD From Pastor Billy Crone – FREE SHIPPING in the USA! 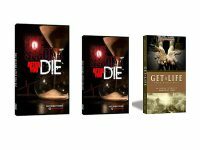 The Heaven or Hell Package – One Second After You Die – New Book and DVD by Pastor Billy Crone -FREE BONUS! – FREE SHIPPING in the USA! 2018 2nd Annual Blessed Hope Prophecy Forum – Volume 4 Disc 6 – Donald Perkins and Doug Hershey – FREE SHIPPING in the USA! 2018 2nd Annual Blessed Hope Prophecy Forum – Volume 4 Disc 5 – Ryan Pitterson and Tom Hughes – FREE SHIPPING in the USA! 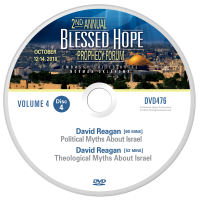 2018 2nd Annual Blessed Hope Prophecy Forum – Volume 4 Disc 4 – David Reagan – FREE SHIPPING in the USA! 2018 2nd Annual Blessed Hope Prophecy Forum – Volume 4 Disc 3 – L.A. Marzulli – FREE SHIPPING in the USA! 2018 2nd Annual Blessed Hope Prophecy Forum – Volume 4 Disc 2 – David Reagan and Dr. Ken Johnson – FREE SHIPPING in the USA! 2018 2nd Annual Blessed Hope Prophecy Forum – Volume 4 Disc 1 – Carl Teichrib, David Schnittger, and Carol Rushton – FREE SHIPPING in the USA! 2018 2nd Annual Blessed Hope Prophecy Forum – Volume 3 Disc 8 – Bill Salus and Jeff Kinley – FREE SHIPPING in the USA! 2018 2nd Annual Blessed Hope Prophecy Forum – Volume 3 Disc 7 – Avi Lipkin and Aaron Lipkin – FREE SHIPPING in the USA! 2018 2nd Annual Blessed Hope Prophecy Forum – Volume 3 Disc 6 – Michael Lake and Larry Ollison – FREE SHIPPING in the USA! 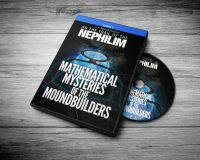 2018 2nd Annual Blessed Hope Prophecy Forum – Volume 3 Disc 5 – Robert Maginnis and Steven Dill – FREE SHIPPING in the USA! 2018 2nd Annual Blessed Hope Prophecy Forum – Volume 3 Disc 4 – Doug Hershey and Carl Teichrib – FREE SHIPPING in the USA! 2018 2nd Annual Blessed Hope Prophecy Forum – Volume 3 Disc 3 – Donald Perkins and Billy Crone – FREE SHIPPING in the USA! 2018 2nd Annual Blessed Hope Prophecy Forum – Volume 3 Disc 2 – William Koenig and Jan Markell – FREE SHIPPING in the USA! 2018 2nd Annual Blessed Hope Prophecy Forum – Volume 3 Disc 1 – Mark Hitchcock – FREE SHIPPING in the USA! 2018 2nd Annual Blessed Hope Prophecy Forum – Volume 2 Disc 8 – Jack Langford and Andy Woods – FREE SHIPPING in the USA! 2018 2nd Annual Blessed Hope Prophecy Forum – Volume 2 Disc 7 – William Koenig and Dr. Michael Lake – FREE SHIPPING in the USA!